On this first day of spring (no matter what it looks like outside), let’s celebrate the arrival of new shops blooming in the City by the Sea. One of Providence’s most lauded men clothiers is spreading his wings and opening a showroom on our most fashionable avenue, naturally. Marc Allen will open his eponymous shop at 142 Bellevue Avenue. “With clean lines and a contemporary feel, the Newport shop will offer the well-heeled gentleman the finest in men’s luxury off-the-rack clothing and sportswear with brands exclusively sold in Rhode Island by Marc Allen, as well as M.A. by Marc Allen, Marc’s proprietary clothing line,” states the official press release. 1. Expect the unexpected in terms of shades and textures of your favorite colors. Our Newport store will feature new blends of wool, silk and linen, such as Ice Gaberdine that hold much better in the warmer months. The type of cotton that these are made of is designed to withstand wrinkling and is woven in the same manner as a pair of wool gab pants…Thus, giving them a smoother feel than your classic twill you’d find in a typical chino. In terms of color, every guy knows how to wear blue, but this year, we’ll see shades that provide diversity in the color without being overpowering…Some Postal blue, royal and even shades of baby blue. 2. Look for soft linings and a natural elegance. 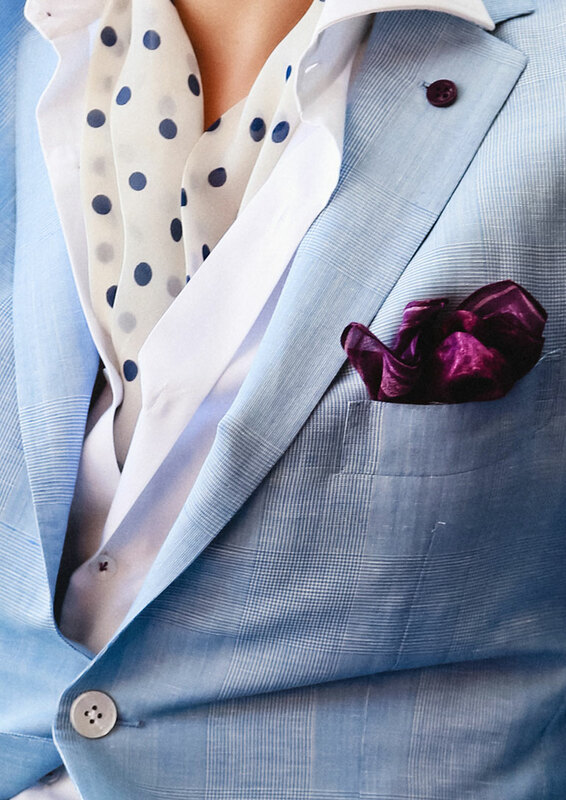 This year, we’re adding Sartoria Partenopea, an Italian brand that features a softer shoulder and linings. 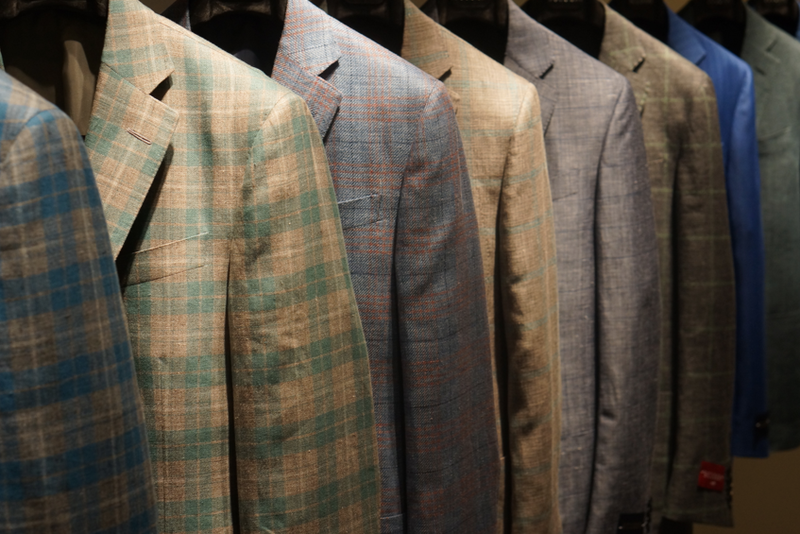 A typical sport coat has a bigger constructed shoulder pad, this particular pad is made of extremely soft cotton and hand molded to give a very easy feeling. These elements are the perfect sophisticated yet un-constructed look that will bridge formal and casual looks. 3. This summer, cuff your shorts to make you look taller, leaner, and more polished. Shorts aren’t just cut off, but we’re making a lot of shorts to have a cuff at the bottom, gives them a bit more weight to have them hang straight. Shorts that are actually balanced to your size enables them to be more symmetrical and gives you that lean look most men are trying to achieve. Marc Allen in Newport will be located at 142 Bellevue Avenue. Entry filed under: Uncategorized. Tags: 142 Bellevue Avenue newport ri, Bellevue Avenue Newport RI, M.A. 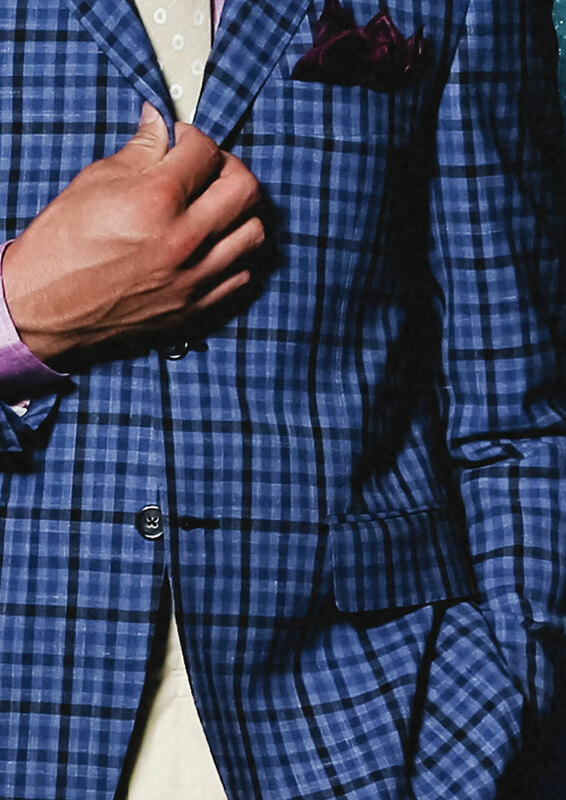 by Marc Allen, Marc Allen Clothiers, Marc Allen Clothiers newport ri, Marc Allen Clothiers providence ri, mens fashion tips 2015, newport ri mens clothing, Sartoria Partenopea, Sartoria Partenopea rhode island.